We took advantage of Brian’s time off last week to go on a little overnight trip to celebrate our anniversary. We dropped Lance off with Grandma and headed out – just the two of us! Our first stop was the Summer camp where I worked when Brian proposed to me. 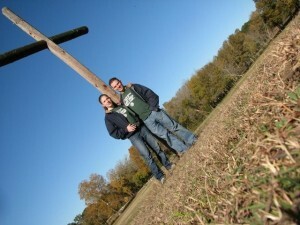 We took pictures by the cross (site of engagement) then walked around some of the trails and said hi to the camp director. Arriving at our destination – the Noe’s lake house – we set off to explore our surroundings. 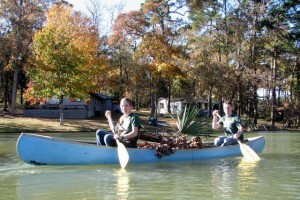 We picnicked on the raft then collected firewood via canoe. After a short break we headed back out to find the source of the lake. Unfortunately the trek was too rugged to bring a camera (or else I didn’t want to carry it with me) so you’ll just have to imagine pushing through a drainage pipe, portaging up a dam to another lake, and finding a mysterious creek with an abandoned dock. Put that together with pushing over a few dead trees and you’ll have our adventure. Well, all that activity made us hungry! 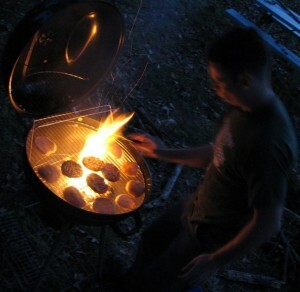 Brian fired up the grill and we soon had a feast! 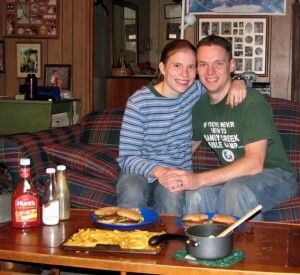 We each ate two hamburgers, french fries and corn! Boy were we full! 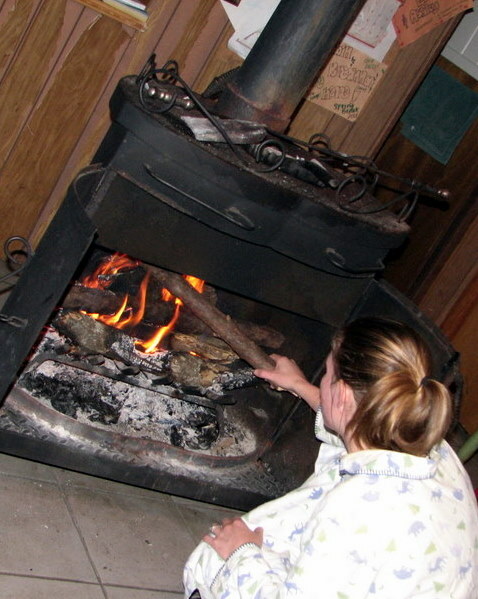 I stoked up the fire really good before we went to bed – that little stove really beats the cold! The next day we made breakfast, cleaned the place up and played games on the raft as we floated down the lake. 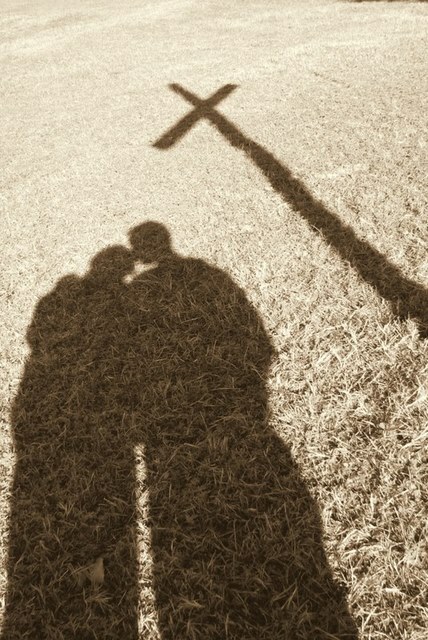 It was a very peaceful morning and we both feel ready for another year of marriage!